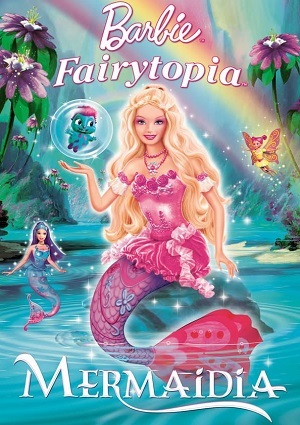 In this second film of adventures in the magical world behind the rainbow: Fairytopia, Elina, our brave fairy has received come big wings as a reward after defeating Laverna, but in this new adventure Laverna, the evil fairy has returned, she intends to kidnap prince Nalu, for he is the only one that knows where to find the immunity plant. Elina is the only one who can save her friends, prevent Laverna destroys Mermaidia and rescue prince Nalu, kidnapped by the villain and guarded by evil mushrooms. For this adventure, Elina must become a mermaid because you must go to the depths of the sea to rescue his friend from Laverna and stop her from seizing the immunity plant. But something is about to happen, a tragedy for Elina who transformed into a mermaid, can’t return to being fairy again cause she exceeded her time limit under the water, and is now trapped forever in a mermaids body. The fairies don’t give up and they fight to keep the plant away from evil hands. Great adventures awaits, Elina must defeat Laverna again and also have to learn to live as a mermaid. Finally the fairy queen will really appreciate her efforts and Elina will surely get a wonderful reward.